Where is the Parade Held? The Republic Day Parade kicks off with the arrival of the President of India, escorted by a pose of bodyguards on horses. The Prime Minister of India lays a wreath at Amar Jawan Jyoti at India Gate to pay homage to those who lost their lives in war. The President raises the National flag as the National Anthem is played, and a 21-gun salute is given. The Parade is led by the three divisions of the armed forces (Army, Navy, Air Force) who show their strength. This includes a dramatic airshow as the parade grand finale. Women power will again feature in this year's parade. A female member of India's Border Security Force "Daredevils" motorcycle stunt team will salute guests while riding her bike hands-free. Another woman will lead an Army marching contingent of 144 male soldiers. In addition, the all-women contingent of Assam Rifles will participate in the parade for the first time. Assam Rifles is the oldest paramilitary force of India, founded in 1835. Powerful new artillery weapons will be on display at the parade for the first time. This includes a M777 American Ultra Light Howitzer and K9 Vajra-T. The weapons were introduced into the Indian Army in November 2018. The M777 Howitzer can be used in flat or hilly terrain that's difficult to access, and will be deployed at high altitude borders with China and Pakistan. It weighs 4.5 tonnes and has a range of 30 kilometers. The K9 Vajra-T features a high-caliber, long-range self-propelled gun system to fire explosives. The Indian Air Force will showcase the new experimental use of bio-fuel to fly military aircraft. Only a few countries in the world currently have this capability. AN-32 military transport aircraft powered by bio-jet fuel will fly over Rajpath. The bio-fuel was extracted from Jatropha plant seeds sourced from the Chhattisgarh Bio-diesel Development Authority. It was processed using technology patented by the Council of Scientific & Industrial Research and the Indian Institute of Petroleum. Various Indian states are represented in the parade by floats that highlight an aspect of their culture such as historical events, festivals, architectural heritage, noteworthy social or economic projects, the environment, and visions for the future. A highlight in 2019 will be the Delhi government's float, which will showcase the time spent by Mahatma Gandhi at Gandhi Smitri before his assassination there in 1948. The Republic Day Parade is a ticketed event. They go on sale a couple of weeks before the event. Here's where and how to buy Republic Day Parade tickets. Mobile phones, cameras, and all other electronic devices (including remote control car keys) are not allowed. So, do leave them behind. There is a strict security check. Try to arrive as early as possible as the area gets very congested with VIP traffic, and your vehicle will also most likely be stopped for security checks. All entrances are closed before the National Anthem starts. Do spend extra for reserved tickets. You'll get a much better spot near the stage and car parking. The morning weather in Delhi will be cold, so bring a jacket. Delhi Metro services are partially disrupted due to security arrangements on January 26 for Republic Day, and January 29 for the Beating Retreat ceremony. This affects Line 2 (HUDA City Centre - Samaypur Badli), Line 3 (Noida City Center - Dwarka Sector 21), Line 4 (Yamuna Bank - Vaishali), and Line 6 (Kashmere Gate-Escorts Mujesar). Train schedules are modified and some stations remain closed. In addition, all Metro parking lots will be closed from 6 a.m. on January 25 to 2 p.m. on January 26. Check the press releases on the Delhi Metro Rail website for the latest information and updates. If you can't make it to the main Republic Day Parade in Delhi, there are other big events in capital cities across India. Unfortunately, Mumbai's grand Republic Day Parade, which took place along Marine Drive in 2014, returned to Shivaji Park in central Mumbai in 2015 due to road resurfacing. The state government has decided that Republic Day celebrations will remain at Shivaji Park due to security concerns. 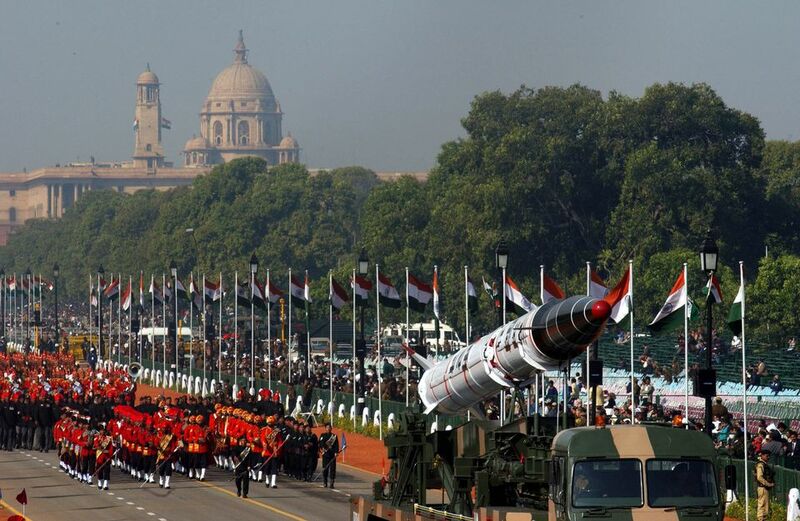 The Republic Day Parade is followed up with a Beating the Retreat ceremony on January 29. It symbolizes retreat after a day on the battlefield and features performances by bands of the three wings of the Indian military -- the Army, Navy and Air Force. Tickets for the full dress rehearsal are available from the same outlets as Republic Day Parade tickets. Here's all you need to know about Republic Day in India, including its history and interesting facts.